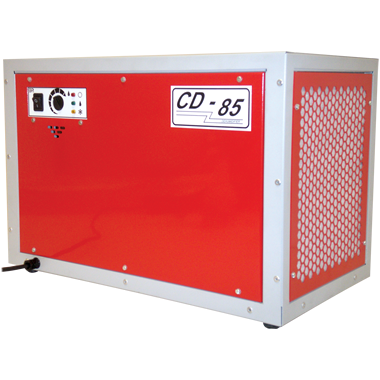 The EIPL CD85 dehumidifier is a stand alone solution to your humidity problem. The unit is supplied with a humidistat, extra long power cord and long condensate tube. This preassembly makes the installation process simplistic, thereby reducing the overall installation and project cost. The high efficiency Rotary compressor ensures the maximum extraction with the lowest running costs. Rubber Anti vibration feet ensure any running / operation noise is kept to a minimum.